James the Mormon is no small name among Mormons. Having hit no. 1 on the iTunes "Hip Hop/Rap" chart with his first EP, I'm Not a Rapper, he's made it very clear from the start that he did not want to make rapping his career, but kept going because he felt prompted to do so. "It would be the equivalent of God telling some guy in the gym who likes to play basketball, 'Hey, I need you to go to the NBA," Curran told LDS Living. "And he'd be like, 'What?' and God would be like, 'Yeah, this is how I want you to share the gospel.'" And as his fame grew, so did the demand for live performances. In an interview with BYU-Idaho Radio, James says he tried to discourage this new "wave of demand" with hefty prices for performances. But they did, and James found himself making a career out of his music, something he never intended to do as his fame grew. And after leaving his half-time performance at game six between the Utah Jazz and the L.A. Clippers, James told BYU-Idaho Radio he was more depressed than ever, saying this wasn't why he began rapping. "Really, honestly, like last week I was like, 'I'm done. I don't want to do this anymore,'" James told BYU-Idaho Radio. "'Like I'm not happy, this isn't what I wanted to do.' To be honest with you, there's nothing more that I hate than being James the Mormon at this point." James told BYU-Idaho Radio that he hopes to redirect his music so that it "affects people's lives and is real for the right reasons." In the future, though, he doesn't know how often he will release new music or how big of a part it will play in his life. 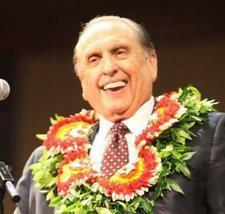 But, according to BYU-Idaho Radio, he says he will continue to share the gospel any way he can. "I've achieved a lot of cool things, or things people think are cool, like hitting no. 1 on Billboard, success with music, businesses. But like I've said, none of that matters. All that matters is the work," James the Mormon said as his "Power to Become" speech at BYU-Idaho. For the full BYU-Idaho Radio interview with James the Mormon, click here.